A hit podcast born of one reporter’s passion. 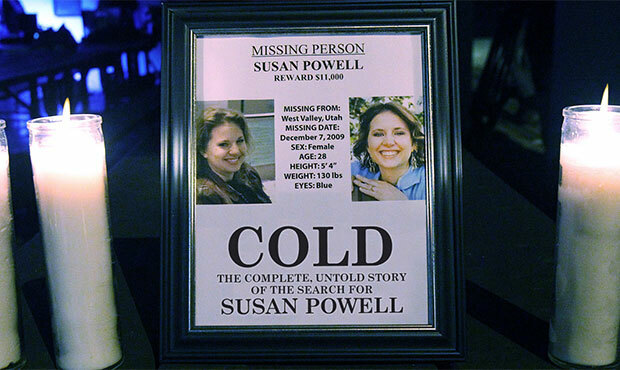 In 2009, the nation was rocked by the disappearance of Susan Powell, a young mother trapped in an abusive marriage, from the Salt Lake City suburb of West Valley City. The case got national coverage, with outlets from NBC’s Dateline to TIME telling the story. By 2013, the case was ruled cold, which meant journalists were given the redacted police file. The national outfits had long since left, but local journalists were still trying to investigate and fill in the holes in the case. 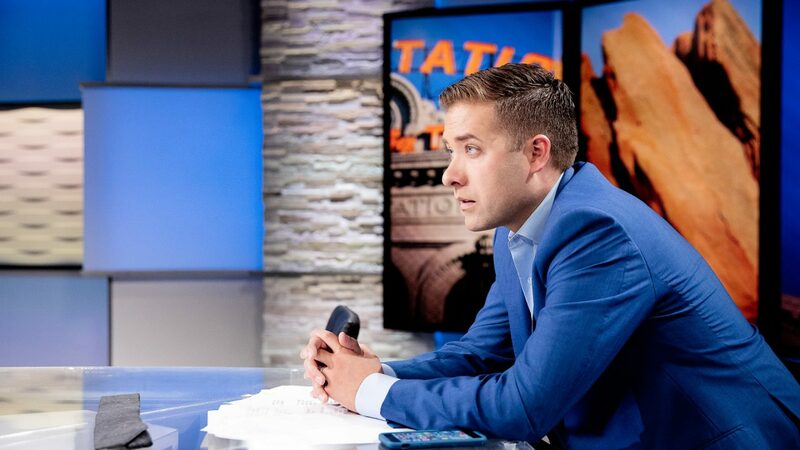 One of those journalists was KSL Newsradio’s Dave Cawley — a radio reporter at the time, but now the station’s executive producer for digital content. Little did he know that his cold case would become a case study in the red hot medium of podcasting — a way for news organizations to reach new consumers. He sat on the idea for about a year, but the story stuck in the back of his mind. So in 2014 he began actively investigating Powell’s disappearance in his free time. Cawley would work a full day at the station and then come home to pore over the police files. He filed numerous documents requests, drove all over Utah and the Powell’s home state of Washington looking for new evidence and conducted dozens of interviews with key players in this story. When they began thinking about the best way to tell this complicated story, Cawley and his colleagues realized it was something that would require more than a 30 second radio wrap every day for listeners to be able to follow along. KSL is part of Bonneville International, a small media company primarily in markets throughout the Western United States. It owns a number of radio stations as well as a single TV station — KSL-TV in Salt Lake. By mid-2018, KSL had begun to assemble resources from around Salt Lake City — TV producers, radio staff and website managers — to turn the information Cawley had uncovered into a complete project. Thus, Cold was born. 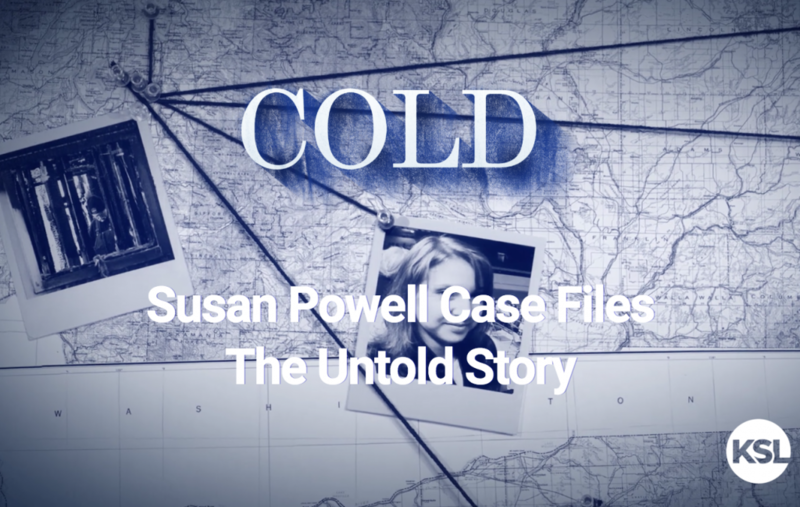 It is a true crime podcast that goes into great depth about every facet of the case surrounding the disappearance of Susan Powell. The first episode was released on Nov. 13, 2018. To Cawley’s amazement, it went right to the top of the iTunes podcast chart. “To look at that and see KSL right next to the LA Times and the New York Times, I don’t even have words for it,” Cawley said. “It was overwhelming.” And the podcast continues to enjoy popularity nationwide. 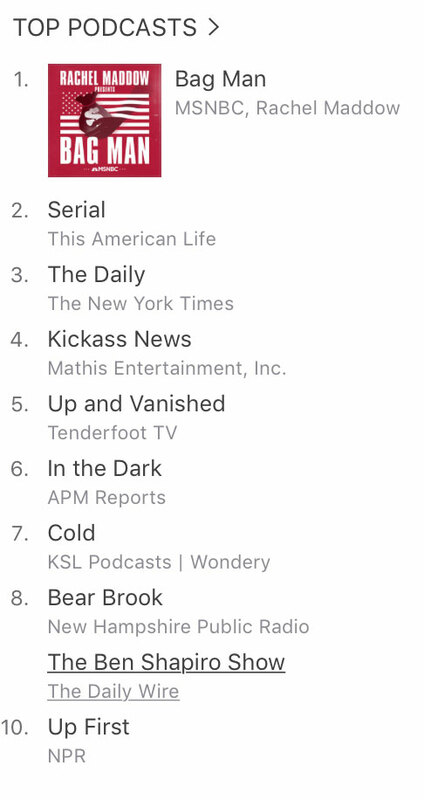 As of the first of this year, it was number seven in news and politics on iTunes — sharing the list with popular podcasts from NPR and the New York Times among others. Screenshot of iTunes News and Politics top 10 podcasts Jan. 1, 2019. And according to both Cawley and Wood, the Bonneville group’s prominence within the Salt Lake City market has been a “strategic strength” for the podcast and really helped expand the audience for Cold. Cawley believes it helped launch the podcast in a way that most radio stations or radio clusters could not manage. So far, the team has produced and released nine episodes of Cold — with a new episode set to drop every Wednesday. But the producers didn’t stop at just a podcast. “Our strategy from the get go was the podcast first and foremost, but then we will spin off our unique content for each individual platform,” Cawley said. There’s a website to share more in-depth content for each episode. The team uses its newspaper connection, The Deseret News — that shares the newsroom, to produce content for that audience. The team also produces packages for TV to go along with each episode. KSL-TV executive producer of special projects Keira Farrimond has worked closely with Cawley to curate this content. “The stories we have produced for TV are really just a small snippet of the episode,” she said, “meaning it’s not just a recap of what was in the episode, but rather a story in itself.” And according to Farrimond, Cawley also “had the forethought early on to gather new content that could potentially be used on TV as well as in the podcast,” as he was conducting his investigation. KSL Newsradio and TV are taking advantage of a medium that has continued to grow in popularity in recent years. 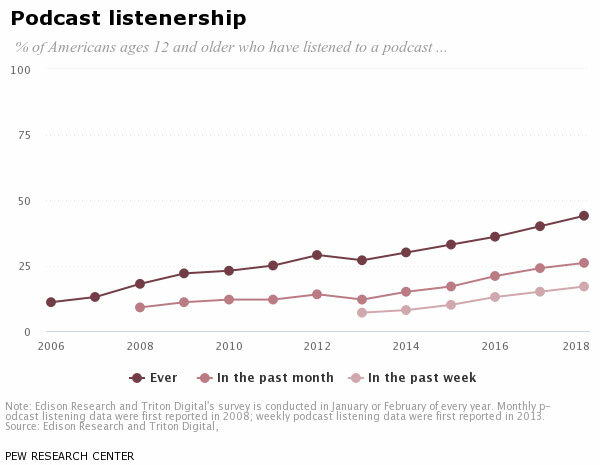 According to this study, 44 percent of Americans have listened to a podcast at least once in their life in 2018. Just ten years ago, that number was just 18 percent. Graph Courtesy of Pew Research Center. While KSL may have a unique advantage to promote the podcast within the Salt Lake City market, it’s not the only local station experimenting with podcasts as a way to tell longform, investigative stories. WDIV, a Graham station in Detroit, has two seasons of a true crime podcast called Shattered. The first season, Black Friday, came out in April 2018, and it’s currently in its second season, White Boy Rick. And in May 2018, WTTG, a Fox O&O in Washington D.C., released its own true crime podcast called The Mansion Murders. Radio stations and TV stations alike have the unique skill set required to produce a longform audio story like this, but as Cawley pointed out they have something else in common. Local journalists have an edge telling stories in their own communities that their national counterparts don’t. Does your station have examples of creative collaborations and unique ways to tell longform, investigative stories? Email us at cronkitenewslab@asu.edu, and we’ll check them out. Article: “Meet your new partner: A Mississippi experiment in collaborative journalism.” Read here. Article: “InvestigateTV’s bet: If you build it, they will come.” Read here. 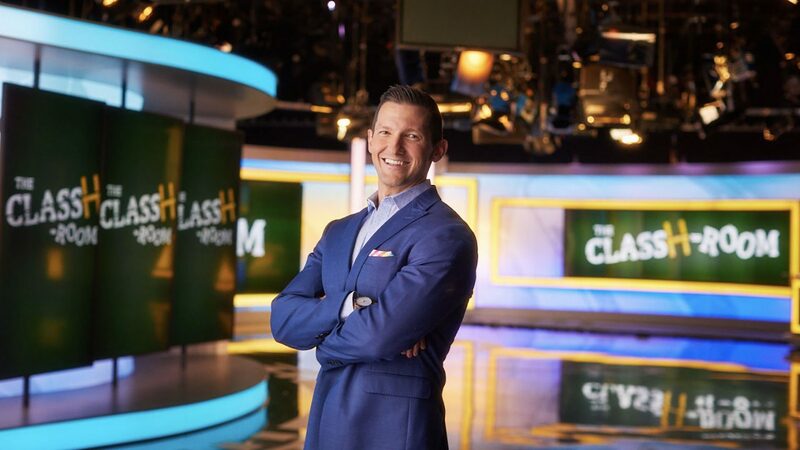 KUSA’s Next With Kyle Clark is a “refreshing” example of innovation’s risks — and rewards.